I’m not a coffee drinker. Hate the stuff! What I do like is a nice cuppa tea. And I like it the British way, too with cream and biscuits. But cream and biscuits aren’t that fantastic for you so I usually do without. I’ve been drinking a buttload of tea the last few days as I’ve been under the weather. Chamomile has done a better job of putting me to slumber than even NyQuil (apparently NyQuil is only good for making me post silly messages). Chai and earl grey are great in the morning for me. Yes, I love English Breakfast teas. I don’t even have a favorite brand but I could talk about all the stores and companies that I drink tea from- adagio (I still think it’s unfair that cousin Rebecca has an adagio store in her town) (I love love love their fandom teas and got a Doctor Who, Lord of the Rings, and Harry Potter set when I visited Naperville)and teavana have always been personal favorites. Twinings because you know, England and stuff, celestial seasons, tazo (local) and stash (also local) are among my favorites. I have stopped putting sugar in my tea and only sweeten it with honey nowadays. 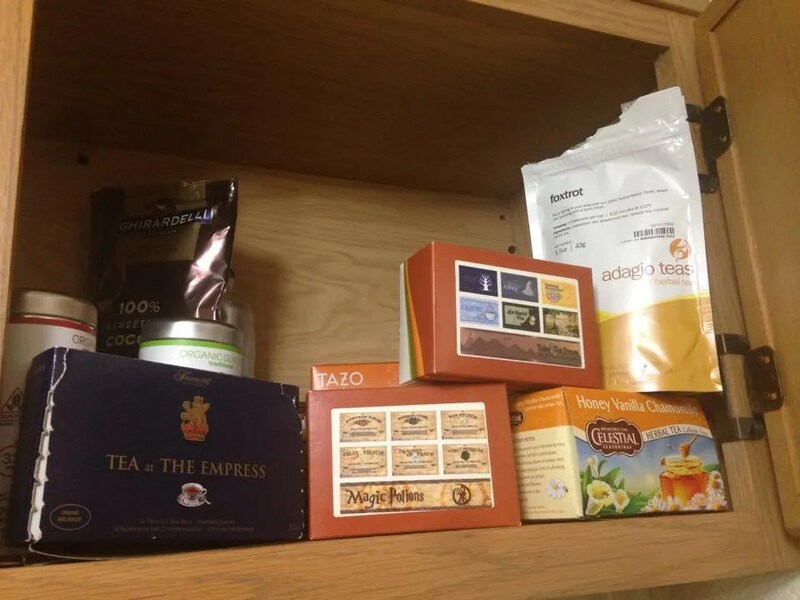 I really really don’t need any suggestions for teas to try, but now that I’m thinking about it, what do you guys like?